LAKEWOOD, NJ - The Toms River Little League team that won the New Jersey State Little League Championship will be honored at FirstEnergy Park in a pre-game ceremony on Sunday prior to the BlueClaws 5:05 pm game against Greensboro. 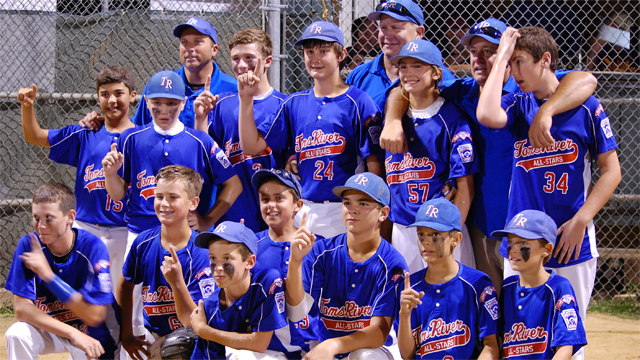 The Toms River Little Leaguers won the New Jersey State Championship at the Berkeley Little League complex on July 28th, defeating Ocean City in the championship game. They then went to the Mid-Atlantic Regional in Bristol, Connecticut, where they went 4-0 in pool play before falling in the semi-finals to Newark, Delaware. "These young players captured the attention of everyone at the Jersey Shore while they made their magical run," said BlueClaws General Manager Chris Tafrow. "We are honored to bring them out on Sunday and give them the recognition that they deserve." In addition to the ceremony on Sunday, the BlueClaws could reach the 6-million fan plateau at this game. They return home on Friday night and are within 12,245 fans of the milestone. At the game on Sunday, the first 2,000 fans 17 & under will receive a BlueClaws Back-to-School Folder. Plus, Kids Eat Free thanks to ShopRite and Kids Run the Bases after the game thanks to Brick Plaza. Adults can enjoy $2 Corona throughout the game as well. For tickets to the game, or any of the six remaining BlueClaws home games, call 732-901-7000 option 2 or click here to order online. The BlueClaws are the Jersey Shore's top stop for affordable, family entertainment. They have led the South Atlantic League in attendance in all 13 years of existence.